Orphan Anne Fairaday faces a life of poverty upon the death of her father. The only thing that can prevent it is finding his latest experiment. She enlisted her new found friend, Madge Sterling, an outdoors girl who has a knack for finding missing things. But they must race against time as there are also several people who will stop at nothing to get it first. “Oh, I can’t, I can’t,” Anne half sobbed. Anne nodded that she understood what was expected but Madge wondered if she really had the strength to obey. She swam to the other side of the skiff and at her signal both girls slowly raised themselves up from the water. The boat wobbled dangerously but Anne appreciated the need for caution. Working deliberately, they kept the skiff upright until both were safely over the edge. 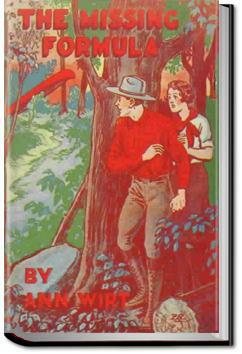 Exhausted by the effort, Anne sank down in a little heap on the bottom, shivering from nervous excitement and cold. Madge resisted the temptation to drop down beside her and snatched up the oars.